The last thing you want to do during a power outage is scramble around the house in the dark. Having flashlights easily accessible throughout your home is essential to making sure you can find your way around with a much lower risk of injury. We highly encourage you to use flashlights as a source of light instead of candles, which are an extreme fire risk. Also, make sure you have extra batteries for your flashlights or a crank-powered flashlight that doesn’t require batteries. Trying to do any of your day-to-day activities in the dark carries a much higher risk of injury – bumping into things, knocking items off tables and counters, or tripping over things. Having a first aid kit handy can help you take care of minor injuries right away. It is also a good idea to have a battery-powered phone charger available in case you need to make emergency calls. When you lose power, you should have bottled or purified water and nonperishable foods available. You should have enough for one gallon per person per day. Without the use of your appliances, you will need to have nonperishable food available that doesn’t require cooking. Remember that you should not open your fridge while your power is out. Keeping your refrigerator doors closed will keep the cold air locked inside and allow your food to last longer. At the first sign of a severe storm, make sure you have an adequate supply of any necessary medications you take. During a power outage, you may not be able to get to your pharmacy and your pharmacy may not be able to refill any of your medications. Many people forget that no power means no hot water. Having extra personal hygiene supplies on hand can help you stay clean and healthy until you have hot water again. Things like hand sanitizer, baby wipes, and disinfecting wipes can stay sealed and safely stored for emergencies like severe storms. If your area is at high risk of a power outage, fill your bathtub with water prior to the storm starting and have a bucket nearby. This will allow you to have enough water to flush your toilets without power. Investing in a home standby generator can help keep you and your family save during power outages. For many people a power outage is nothing more than an inconvenience, but it can be extremely dangerous for those who rely on medical devices powered by electricity. 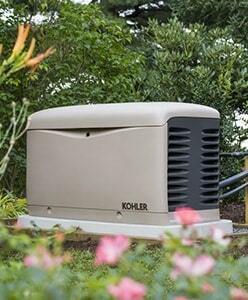 A standby generator powered by natural gas or propane can kick on in as little as 10 seconds after your power goes out. Your medical equipment, lights, appliances, water heater, and heating and cooling equipment can all be connected to your home generator so your day-to-day routines are not interrupted by power outages. To learn more about how a standby generator can keep you safe and comfortable during the next storm, contact us today to get a free estimate from one of our expert energy consultants.